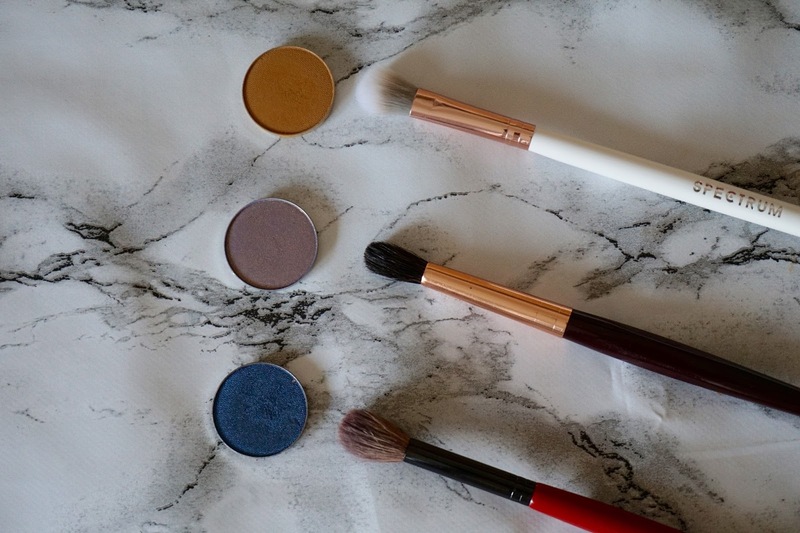 Makeup Geek has swiftly become one of my favourite eyeshadow brands. I first got their shadows at the beginning of the year and they're great go-to shadows that I know will work well. I've now added 3 new shades to my palette: Nautica, Rebel and Desert Sands. 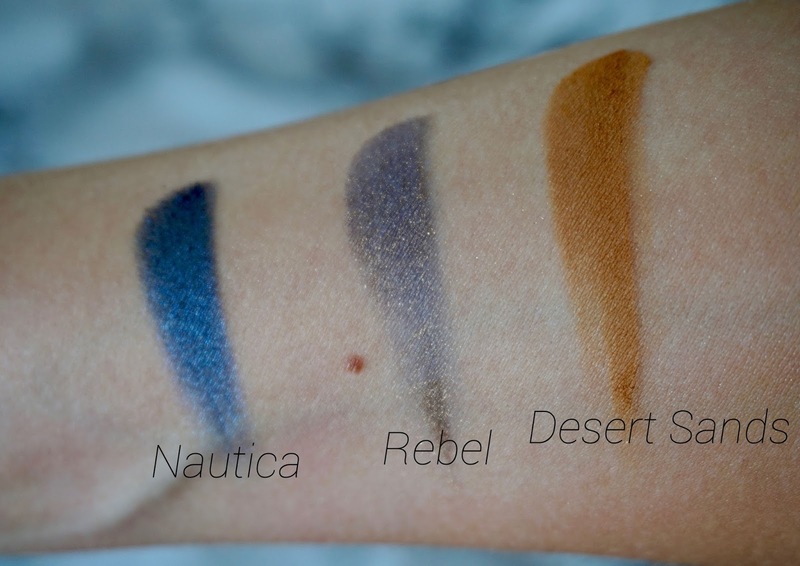 Nautica was a purchase inspired by Desi Perkins' cobalt blue smoky eye tutorial. I was absolutely desperate for a dupe to the Colourpop shadow she used and Nautica seemed pretty spot on. It's a beautiful soft shimmer cobalt blue. I don't think it quite has the same pigmentation as the Colourpop one in terms of shimmer, but it definitely did the job for my recreation of the look - which you can see here and here. My next purchase was Rebel, which I got with the hope of doing a pink/purple smoky eye. I've yet to use this but it looks so beautiful. It's a blue toned purple with gold flecks - I'm hoping they translate to the lid as they look gorgeous. Finally, I got Desert Sands. This is apparently a dupe to the now-discontinued cult favourite MAC 'Uninterrupted'. It's basically a mustard yellow-brown, that's great for transition colours and for using to tone down super colourful looks. I used it to blend out the darker colours and as a transition shade in this look. So that's another 3 shadows added to my collection, and only 1 spot left in my Z palette before I'll have to upgrade to a bigger one! Let me know your MUG recommendations in the comments.